Preheat oven to 200 degrees or 400 degrees F. Lightly oil a baking sheet or coat with nonstick spray. In a small bowl, combine olive oil, garlic, oregano, thyme, rosemary, parsley and lemon. 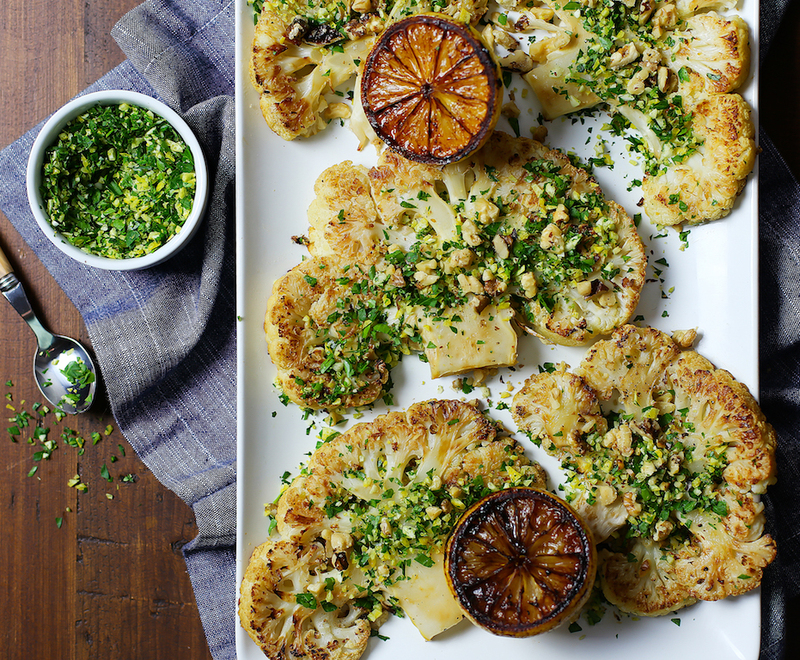 Halve the lemon and roast it in a fry pan with olive oil with the walnuts. To serve, squeeze charred lemon juice over the steaks, then top the steaks with the toasted walnuts.